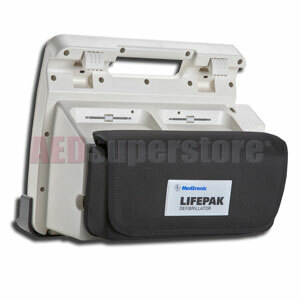 LIFEPAK 12 Back Pouch. Ideal for additional accessory storage. Hook & loop closures, snap attachment with hinge. NOT recommended for use with SLA batteries.